Tendonitis is a type of overuse injury; the tendon is repeatedly strained until tiny tears occur. Common sites that are prone to tendonitis include wrist, shoulder, knee and heel. 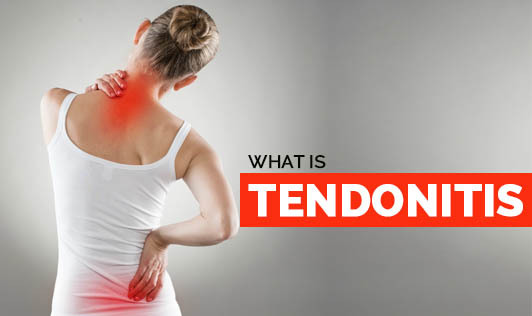 Tendons are bands of strong connective tissues that attach muscle to bone and tendonitis is the inflammation of a tendon. One may experience pain, swelling, stiffness, restricted mobility at the affected joint, muscle weakness and the skin over the affected area may feel warm to touch. Contact your doctor if your painful symptoms persist despite resting the affected area and using treatment at home!